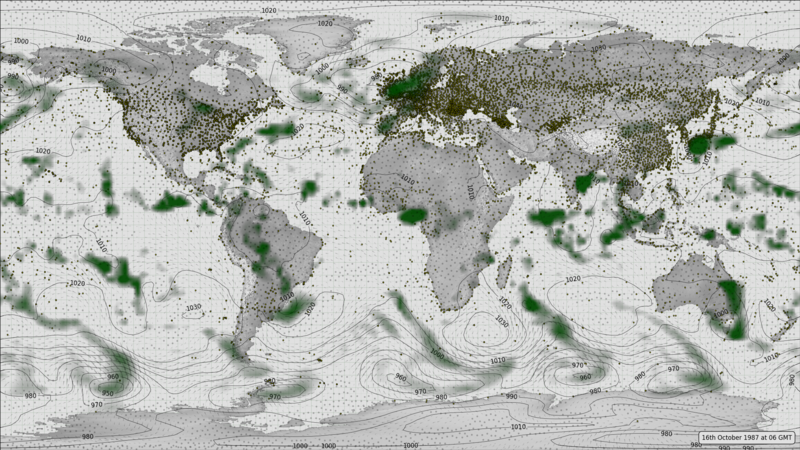 Surface weather: MSLP (contours), 10m wind (vectors), observations (points), and precipitation (green shading). 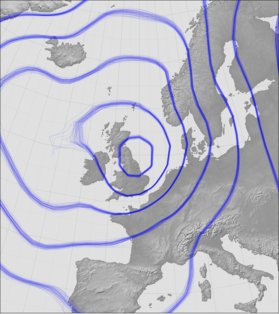 # Overlay multivariate weather: pressure, wind and precip. #  fill the figure with the plot. label="16th October 1987 at 06 GMT"